India and Sri Lanka tour offers you the opportunity to discvover two vibrant countries India and Sri Lanka. Visit the highlights of India, travel from Delhi, the National Capital to Agra, home of the Taj Mahal, and explore Bharatpur where you may have the chance to spot migratory water birds. Continue on to Jaipur, the imperial pink city. Proceed to Sri Lanka, the island of magical proportions, once known as Serendib, Taprobane, the Pearl of the Indian Ocean, and Ceylon. 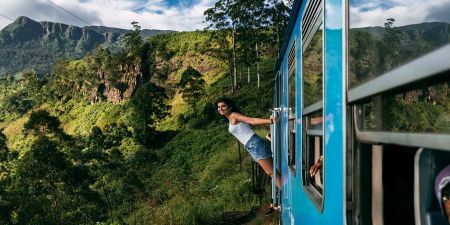 Discover refreshingly Sri Lanka and visit Colombo, Kandy, Wadduwa and more. On arrival, you will be met and transferred to the hotel for a non-alcoholic welcome drink. Breakfast att hotel. 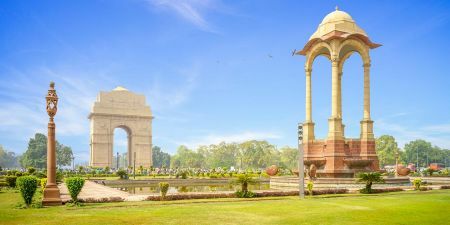 Day at leisure or pre-book a Delhi city tour. In morning, drive to the medieval city of Agra, home of the world-famous Taj Mahal. Enjoy your afternoon at leisure or book an optional tour to the Tomb of Itmad-Ud-Daulah. Spend early evening at leisure or book an optional show about the Taj Mahal. Visit Itmad-Ud-Daulah, known as the "Baby Taj", the first Mughal structure totally built from marble. It is looked upon as the precursor of the Taj Mahal as far as elaborate carvings and inlay work are concerned. A series of plays that portray te immortal love of Shajahan for Mumtaj Mahal- his beautiful wife; the lifestyle of Mughal era; the hardships of the artisans for 22 years. Early morning, visit the Taj Mahal (closed on Fridays). Known as the Red Fort of Agra, its palaces, grand mosques and elaborate public hall are crafted from pink-red sandstone and are testament to an era when Indo-Muslim art, marked by influences from Persia. In morning, depart for Bharatpur. En-route visit Fatehpur Sikri an abandoned capital from the Mughal Empire. In the afternoon, upon arrival in Bharatpur; check in to the hotel. Enjoy your afternoon at leisure or book an optional visit to the Bird Sanctuary. Breakfast at hotel. Then depart for the “Pink City” of Jaipur. In the afternoon, arrive in Jaipur. Breakfast at hotel. Spend day at leisure or pre-book a tour of Amber Fort. Visit Amber Fort, one of the finest examples of Rajput architecture which offers extensive views over a deep narrow valley and the wider plains beyond. Enjoy a lesson on Indian style cooking, interact with a local family and learn about the mysteries and secrets of Indian Cooking. In morning, enjoy a tour of Jaipur including a visit to the City Palace. Afterwards, continue to the impressive Jantar Mantar, an astronomical observatory built in the early 1700s by Maharaja Jai Sing II, the astronomer to which this city owes its name. In thr evening, enjoy an Aarti Ceremony in Birla Mandir, which is a very auspicious Hindu ritual in which we offer our prayers (traditional hindi song) to God. This morning check out from hotel and drive to Delhi airport to connect flight for Colombo. Meet and assist on arrival at Airport by our Tours Representative and transfer to the hotel. Rest of time at leisure. After breakfast transfer to Kandy. It is rightly a sincere sight to observe how these gentle giants - orphaned and sometimes three-legged - are taken care of since 1975 at Pinnawala Elephant Orphanage. Over 20 calves have been born here; some of its inmates have even seen their grand children during the past few decades! Watch them being fed at 9:15 am, 1:15 pm and 5:00 pm and take a river bath twice a day at 10:00 am and 2:00 pm for an experience that you will never be felt anywhere else on earth! Afternoon, do a city tour of Kandy. Transfer from Kandy to Waskaduwa hotel. Enjoy the beach and facilities at the hotel. Overnight Stay at CItrus Waskaduwa. Excursion to Bentota (Water sports) and Kosgoda turtle hatchery. Both locals and international volunteers battling it out for ''Sea Turtles' Sake'' is a common sight at Kosgoda. Enjoy this vibrant tourist destination sitting calm along the Southern coast of Sri Lanka. Galle is famous with its Galle Fort, UNESCO world heritage site. Galle Lighthouse stands on the fort’s southeast tip. After breakfast drive back to Colombo. Upon arrival, proceed for Colombo city and shopping tour. Continue transfer to the International airport to connect flight for your onward destination.